Thanks for sharing. I have one from another vendor and I LOVE using it... it is a real treat to use. Haven't seen this model until viewing it here. Like BFletcher above, I purchased a "Santa Maria" style unit a couple of years ago and use it regularly. I love it and I see some features in the Banditos system that I really like as well, mainly the stainless steel grate. It appears that the grate also lifts out of the circular frame as well. I purchased my system from Gabby's Grills. One advantage I see in Gabby unit is the mounting. I prefer the circular attachment that spreads the weight of the unit over the entire circumference of the kettle, rather than the two point of attachment of the Banditos assembly. Also, I can easily lift my unit off without having to unscrew mounts. Regardless, they are both sharp looking, well made systems. 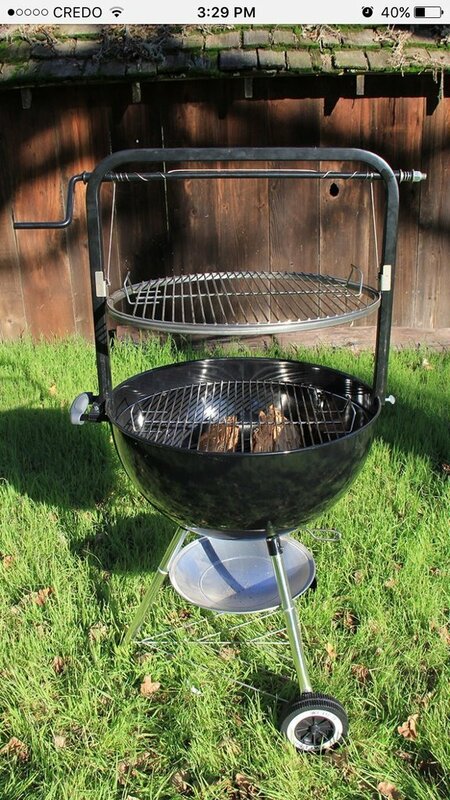 A good way to broaden your grilling experience. Thanks Chris.